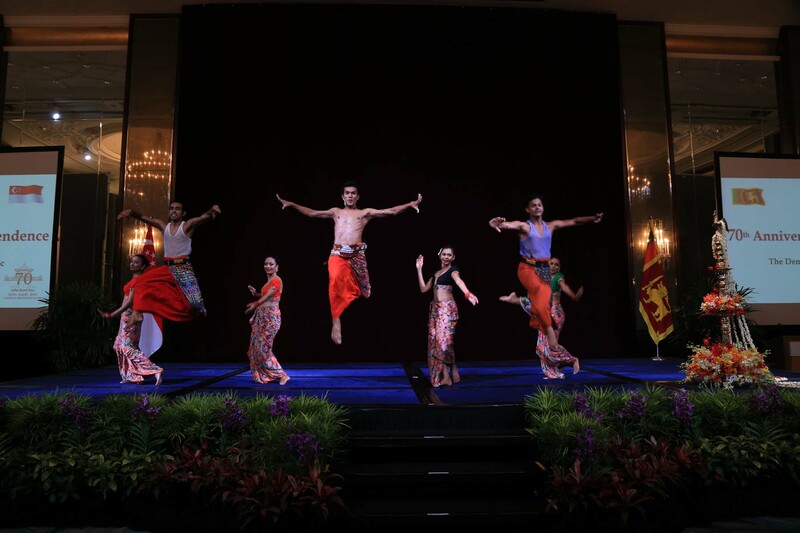 Sri Lanka High Commission in Singapore celebrated the 70th anniversary of Sri Lanka’s Independence at the High Commissioner’s Official Residence on 4th February 2018, with a large gathering of the Sri Lankan community in Singapore. The event commenced with the hoisting of the National Flag and the singing of the National Anthem in both Sinhala and Tamil, followed by two minutes silence in remembrance of all who sacrificed their lives for the country and the victims of conflicts. 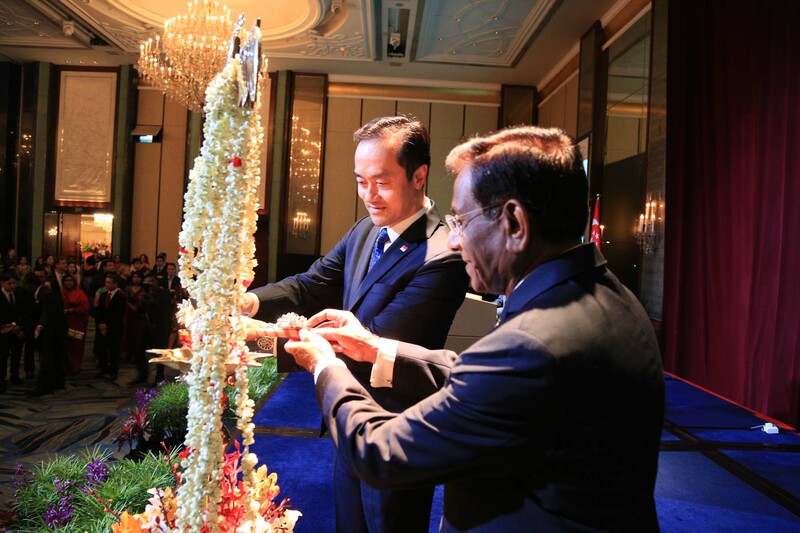 The traditional Oil Lamp was lit by H. E. the High Commissioner, representatives from various Sri Lankan organizations/associations based in Singapore, and the Sri Lankan migrant workers. Multi-faith religious observances were also conducted invoking blessings on the country and the people of Sri Lanka. Addressing the gathering, High Commissioner Nimal Weeraratne remarked that the steadfast efforts of the Government have fostered an atmosphere for all Sri Lankans to celebrate this milestone occasion as one Nation, while also fondly remembering the country’s forefathers for their sacrifices to achieve independence as a united force rising above ethnic differences. 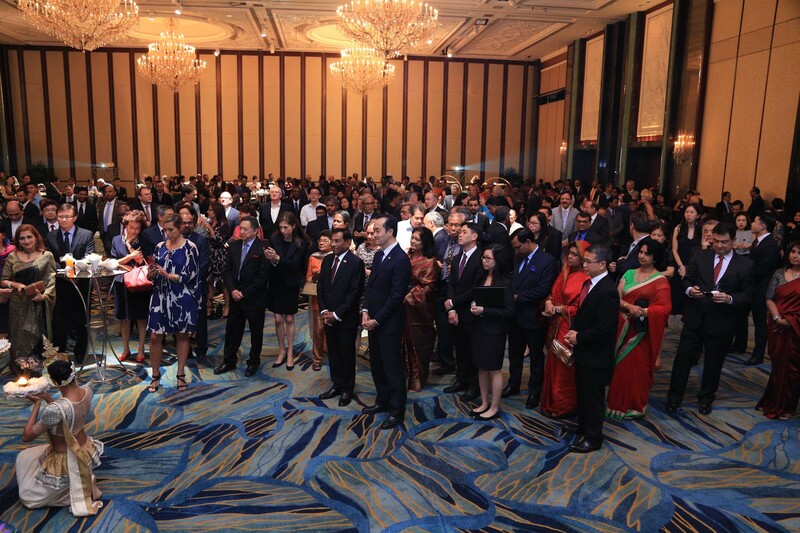 The High Commissioner also urged the Sri Lankans of all ethnicities for their resolve to build linkages with Singapore friends to bring home the best this wonderful host Nation has to offer to the benefit of the motherland. 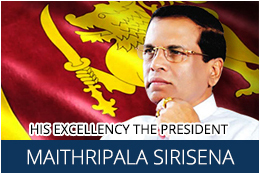 The National Day Messages of H.E. the President, Hon. Prime Minister and Hon. Foreign Minister were also read out to the gathering. 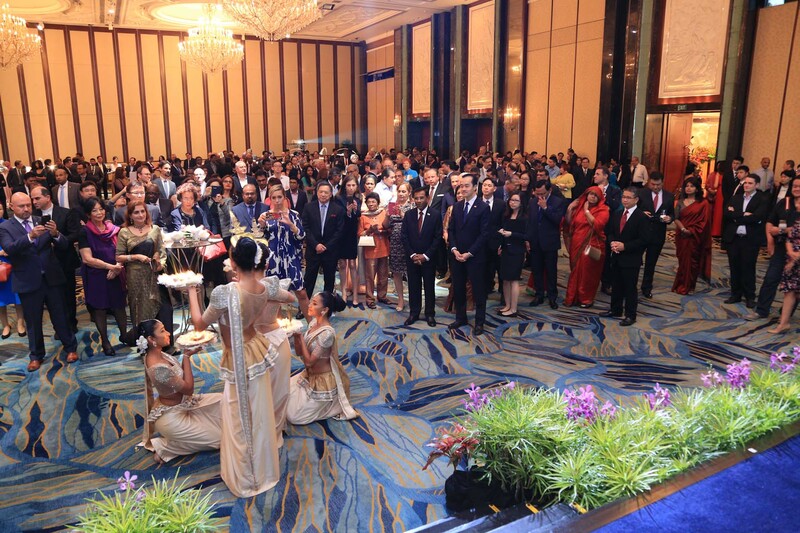 The High Commission also hosted a reception on 6th February 2018 to mark Sri Lanka’s 70th Anniversary of Independence in Singapore with the participation of a large number of invitees, including representatives and officials from the Government of Singapore, members of diplomatic corps, business community, academia, and friends of Sri Lanka in Singapore. The event was graced by Hon. 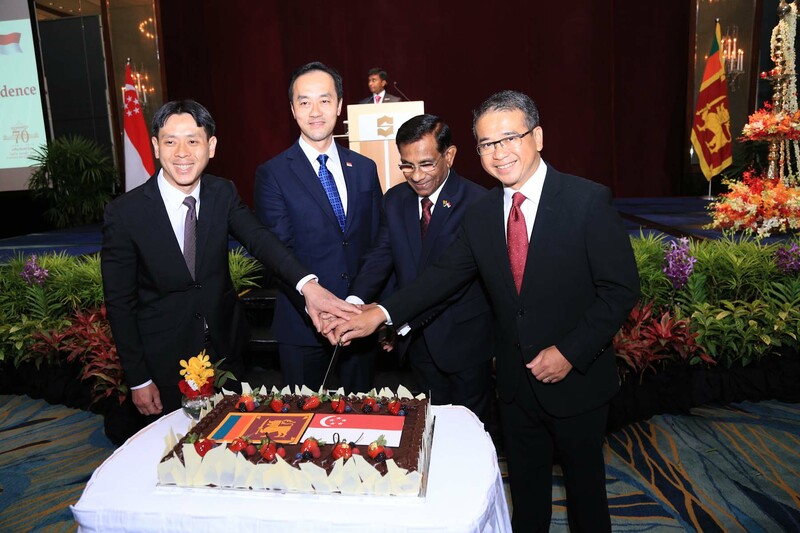 Koh Poh Koon, Senior Minister of State for Trade and Industry & National Development as the Chief Guest, and several Members of Parliament representing the Government of Singapore. Delivering the welcome address, High Commissioner Nimal Weeraratne noted that the people of Sri Lanka celebrate the 70th Anniversary of Independence with a sense of confidence, pride and renewed hope for the betterment of their future, in an environment where many socio-economic reforms are being introduced and development activities are carried out by the Government. 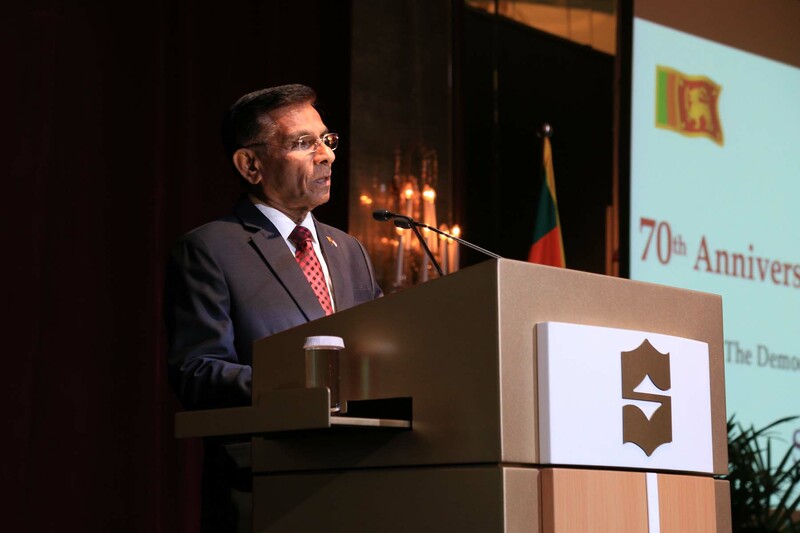 He also emphasised that relations between the two countries have seen unprecedented momentum in the recent years, with reinvigorated efforts of the two sides giving it a more diverse and strategic character and forging a new chapter in Sri Lanka-Singapore relations. Speaking at the occasion, Minister Koh Poh Koon highlighted that under the leadership of President Maithripala Sirisena and Prime Minister Ranil Wickremesinghe, Sri Lanka has proactively engaged with the world, and stepped up reforms that promote foreign investments and national reconciliation. 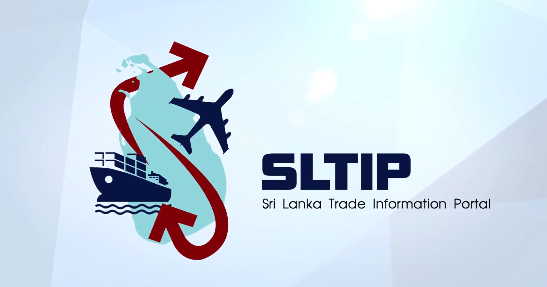 He also stated that with these encouraging developments, many countries would be confident of Sri Lanka’s future, and that the recently signed Singapore-Sri Lanka FTA would serve as a catalyst for increased investments and business opportunities. 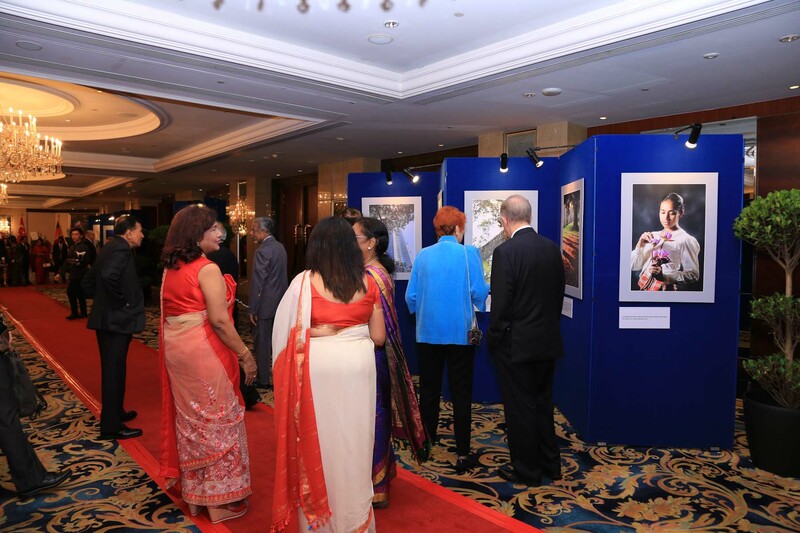 A photo exhibition depicting the significance of Sri Lanka’s 70th Anniversary of Independence was on display, in parallel to the reception. 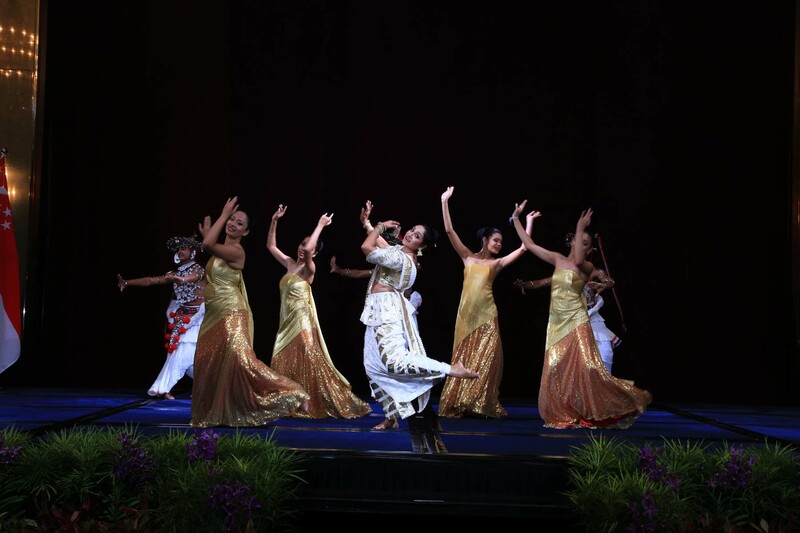 A Sri Lankan dance troupe that staged a variety of performances showcasing the rich cultural heritage of the country enthralled the audience. Delicious Sri Lankan dishes were served at the reception, adding “spice” to the event.